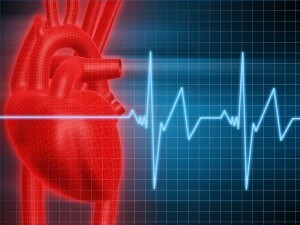 Heart palpitations are situations when you can feel your heart beating abnormally. It sometimes feels as if you heart is flip-flopping in your chest or is skipping a beat. Most people experience palpitations in response to anxiety. Different people describe palpitations differently. Some say their heart starts beating faster (tachycardia), while others say it seems that their heart beats slower than normal (bradycardia) and even flutter. Many things may lead to heart palpitations, including electrolyte imbalances, heart disease, anemia, hypoglycemia, arrhythmias, and anxiety disorders. Before discussing how to stop heart palpitations,it is important to identify the underlying cause first. Heart palpitations do not usually require any medical treatment, especially if they are not caused by a heart condition. Your doctor will work closely with you to explain how you can stop heart palpitationsby avoiding the triggers. In cases where your heart palpitations are the outcome of anunderlying health condition such as arrhythmia, your doctor will focus on treating that condition first. Drink plenty of water. Heart palpitations may result from mild dehydration. While you really do not have to go overboard with the idea of hydrating yourself, it is important to increase your water intake to help correct the problem. Valsalva maneuver. You can use this technique if you are experiencing a fast heartbeat. Close your mouth and then pinch your nose as well. Now, breathe out forcibly. This will cause a strain, which in turn will increase your heart rate. Once the effect goes away, your heart rate will become slower. Avoid this technique if you have a heart condition. Try coughing. Many people do not realize that cough is actually a blessing. Coughing vigorously will build pressure in your chest and even help bring your heart back into a normal rhythm. Just do it whenever you feel like you are having a palpitation. Use cold water. Simply take some cold water and splash it on your face. The technique works great for panic attacks and palpitations mainly because cold water shocks your nervous system and helps stop palpitations. Learn to relax. On the subject of how to stop heart palpitations,you need to learn how to relax your nerves whenever palpitations strike. Do not panic because this will make things more stressful for your heart. Just take deep breaths and relax for a moment to return to normal. Be active and exercise regularly. The idea behind doing strenuous exercise is that your heart rate drops after a good workout, which will reduce the effects of palpitations. Talk to your doctor about the exercises you can do if you have heart diseases. Avoid certain foods, substances, and medications to keep things under control. You should not use illicit drugs and avoid caffeine, nicotine, and alcohol to avoid palpitations. Some medications also work as stimulants to your heart, such as medicines for cold and some nutritional supplements. As mentioned above, you do not always require medical intervention to treat palpitations, but sometimes, you may not get good results from basic home care strategies. If that is the case, you may want to try nutritional supplementation. Here is how to stop heart palpitations with supplements. You heart palpitations may be due to an electrolyte imbalance in your body. Common electrolytes needed by the body are potassium, sodium, and magnesium. All these elements form positive charged ions that provide your heart the ability to regulate its contractions. So, increasing your intake of electrolytes may help. You may improve your heart health by taking taurine that is an essential amino acid required for regulating levels of potassium, calcium, magnesium, and sodium within the heart. It also helps prevent feelings of anxiety and stress. Taking supplements that contain CoenzymeQ10. This antioxidant helps your cells to produce energy, whereas your heart needs it to maintain steady beats. Certain blood pressure medications can lower the levels of this antioxidant in your body. If you are taking medication for hypertension, you may benefit from taking these supplements to manage palpitations. You can take these supplements regularly to see an improvement in your symptoms. If they do not work, however, you may have to talk to your doctor for alternative treatment method. When you fail to get any results from self-care strategies and supplementation, you may consider seeing your doctor. He/she will examine your condition and check for other symptoms as well to prescribe certain medications. They usually give you calcium-channel blockers or beta-blockers to help make things manageable.Your doctor will also ensure that your palpitations are not caused by other underlying conditions, such as anemia. If that is the case, they will treat that condition to stop palpitations. They may even stop certain medications if they think those medications are responsible for your irregular heartbeats. By taking the above-mentioned strategies and treatments, you will learn how to stop heart palpitations. However, some people experience palpitations because of an underlying illness. You may want to consult with your doctor if palpitation is a new symptom for you. It is also a good idea to discuss it with your doctor if your palpitations increase in strength or frequency. If you have palpitations with other symptoms such as nausea, dizziness, shortness of breath, chest pain, jaw pain, or upper back pain, you should seek immediate medical attention because these could be signs of a much serious condition like heart attack.